Below are my upcoming sessions open to the public (note ticket fees may apply). If you are interested in having me speak at your meeting or conference, please contact me. At the Minnesota PHP User Group I will be doing a short presentation on the new features and changes within PHP 5.4. This presentation will include coverage of binary notation, short-hand and dereferencing arrays, class instantiation chaining, and traits. 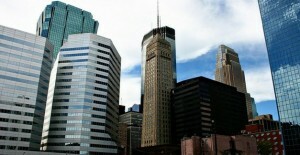 This will be a repeat of the PHP 5.4 presentation done at the MN PHP Meetup. 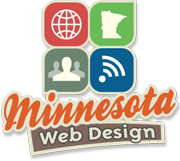 This presentation will focus on best practices for creating a mobile web flow, starting with how to best redirect users to your mobile site, how to advertise your mobile application, usability issues, and how to best let users access your full site. At MinneWebCon I will be going over essential PHP security facts and myths to help developers of all skill levels protect their applications against malicious scripting attacks. 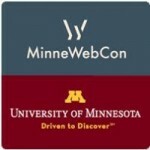 An encore of the Minnebar 7 presentation, focusing on the best practices for creating a mobile web flow, starting with how to best redirect users to your mobile site, how to advertise your mobile application, usability issues, and how to best let users access your full site. A Mobile Web Flow – Best Practices poster will be displayed at the Web 2012 conference in State College, PA. This poster will be based on the Mobile Web Flow – Best Practices presentation done at MinneBar. A short presentation on the future of mobile development and emerging concepts as discussed during the poster sessions at Web 2012. This presentation will cover the principles of PHP Security such as staff training, coding standards, utilizing version control, traffic scanning, input validation, file scanning, logging, and others as based on Prison Theory of Web Development. 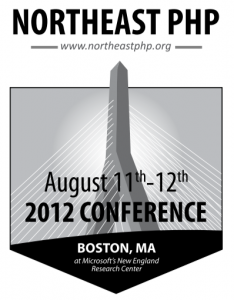 An in-depth version of this presentation will be given at Northeast PHP on August 12th. The most important aspect of any application is security. Any application that isn’t secure opens up your server and business to irreparable harm. Fortunately, there are a lot of security tips on the web, and unfortunately, there are a lot of misconceptions. In this session we are going to cover some of the most dangerous security risks and common misconceptions, and show you how to correctly sanitize data to ensure that your application remains “hole” free. You’ve heard of WordPress, and you know how popular it is. Imagine if you could spread your brand across this amazing platform! By building your own WordPress plugin you put your name, your company, and your offerings right in front of thousands of WordPress bloggers. In this short presentation we look at the basics of building a WordPress plugin- from start to finish. Participants should have a basic understanding of PHP. You’ve spent hours upon hours creating a fantastic website, but now your boss wants a mobile version! In this presentation we’ll take a look how to quickly convert a website from desktop to mobile through a variety of possible solutions, including those for frameworks and sites built purely in HTML. You can knock out a 5 star webpage in seconds, and know HTML5 and CSS3 like the back of your hand- probably even better! But maybe there’s still something missing? In this presentation we’re going to talk about using the server side language PHP to do some really cool things, like setup templates, handling forms, reading RSS feeds, utilizing APIs, talking to databases, and making super sonic laser guided aircraft (slight exaggeration). What does it mean to be agile, and how can we incorporate Scrum or Agile practices in the workplace? This presentation will give a broad overview of Agile, as well as cover best practices and not-so-good practices to watch out for. What is most valuable to employees in the workplace, and what can managers do to make their employees happy? In this presentation we take a look at what your employees value (according to a HR survey) as well as common mistakes made by managers.